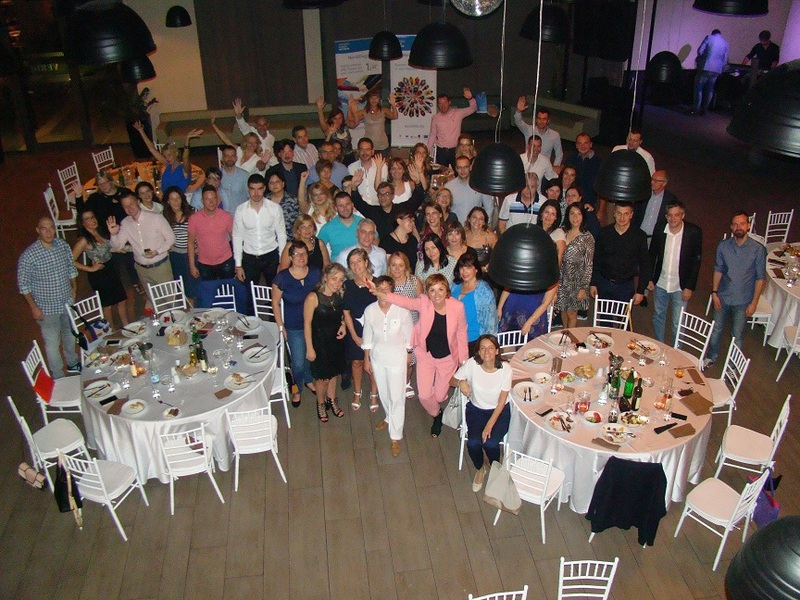 This year’s EEN SEE Regional Conference (The Conference) was held in Podgorica, Montenegro 12-13. September. Partners from 6 EEN consortia (Slovenia, Croatia, Bosnia, Serbia, Macedonia and Montenegro) gathered with European Commission representatives István Németh (DG for Internal Market, Industry, Entrepreneurship and SMEs) and Natalia Martinez Paramo (EASME, Head of Unit COSME) and Marija Popović ( EASME, Project advisor, Unit A1 – COSME – Evaluation and Monitoring) to discuss new ways of the joint cooperation for a strong regional network for SME business support. Opening speech of The Conference was held by Minister of Economy of Montenegro Ms. Dragica Sekulić Talking about the future of Montenegrin economy she stated that key challenges are exploring and achieving country’s growth and elimination of business barriers for SMEs. 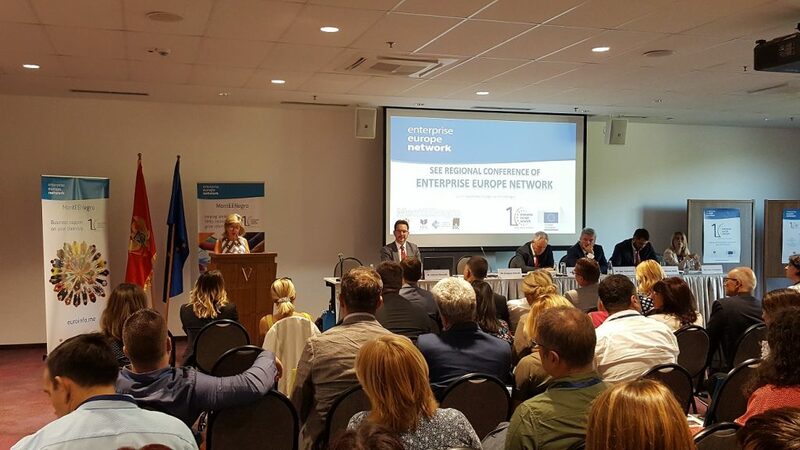 She also underlined that European Enterprise Network as a project has its’ particular place and importance in strategic documents of Montenegro. Mr. Nemeth, Ms. Martinez Paramo, and Ms. Popović greeted the participants and presented Network vision, performance and achievements. Their presentations also covered the expectations of the Enterprise Europe Network for the next financing period 2021-2027. Moderator of The Conference was Ms. Ljiljana Belada coordinator of MontEENegro. Mr. Nenad Novović, director of Amplitudo doo – one of the most innovative and fast-growing companies in Montenegro working in the field of IT solutions and innovations (software and hardware). They have been supported with various EEN services: mentoring, access to finance, networking. They are also part of the program “Ready to Go” that was promoted through the network. Mirjana Babić founder of Olivmont doo – This company started as a producer of natural olive oil soap for which they were awarded at SME week in 2010. Olivmont doo was supported with: networking, access to finance, took part at B2B event in Napoli and in the region and at YouGoSlavia project supported through the network, and recently through the mentoring program. Ms. Babic presented her company, experience in working with EEN partner BSC Bar as well as the growth that they have achieved through EEN services. Uroš Bulatović president of the Union of Young Entrepreneurs – This is NGO that promotes youth entrepreneurship. 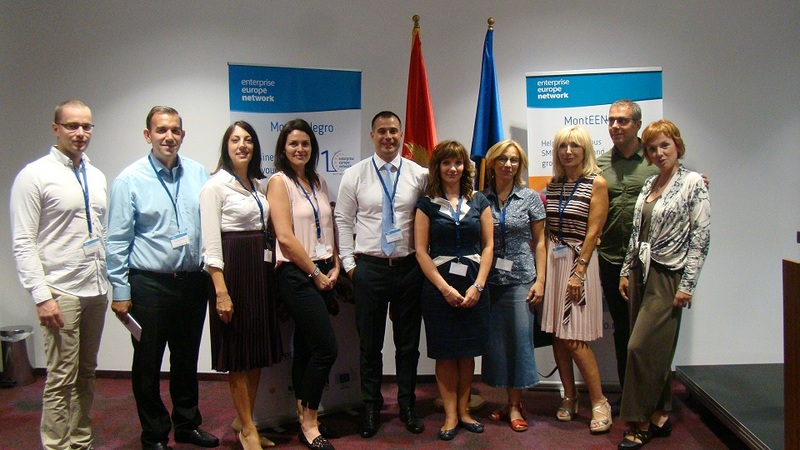 They are cooperating with the EEN Montenegro in promoting network activities to the target market. Ms Elma Hot, co-founder of Bee&Me doo – she is young entrepreneur part of the Union of young entrepreneurs and the most innovative young company that started from first co-working space in Montenegro. Rest of the day 2. was used for training and networking. Workshops were organized with the focus on creativity, thinking outside of the box and working together to overcome the obstacles in difficult conditions functioning as one team – ONE NETWORK. Participants who opted for a visit to Cetinje were able to visit National Museum -King Nikola’s Castle as well as Billiard -the famous museum and home of Petar II Petrovic Njegos. There was also a guided tour through Royal Capital of Montenegro. The network should develop more client-oriented services in a form that there should be more direct contacts with SMEs. Companies would prefer to have once in one or two months visit from representatives of EEN member to their offices where they could discuss possibilities because they feel that they are not exploiting EEN possibilities enough. Consultant/mentor approach in their opinion would be better. 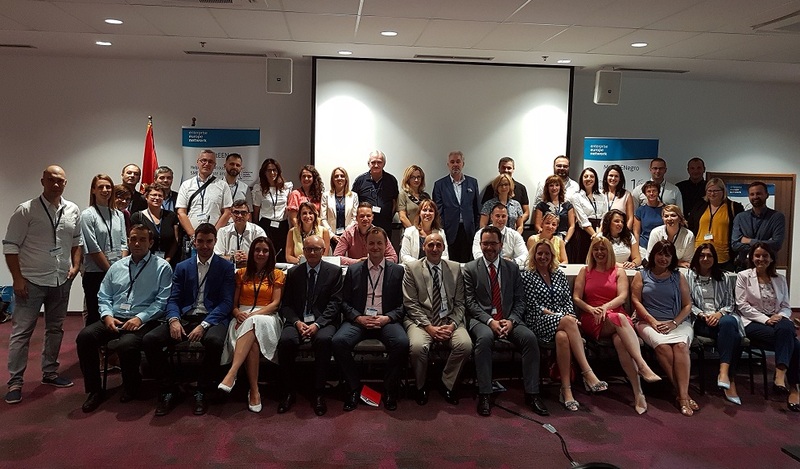 The companies in Montenegro and the rest of the SEE region need support services provided by EEN to further empower them in their business especially for Horizon 2020 and SME instrument application.